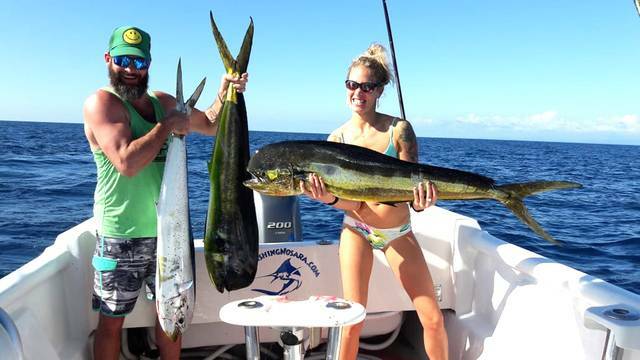 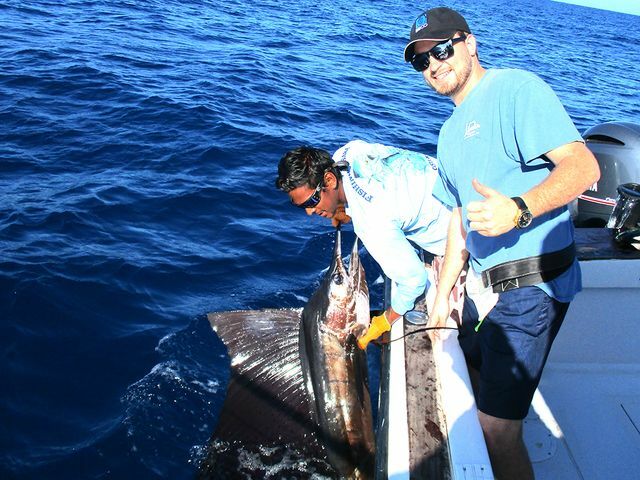 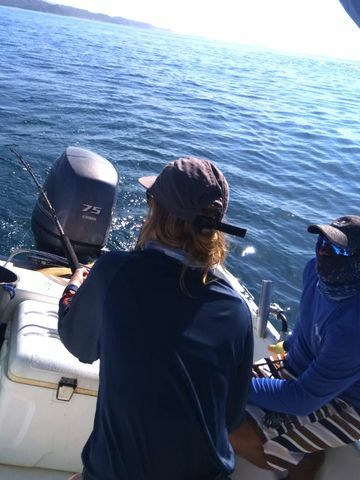 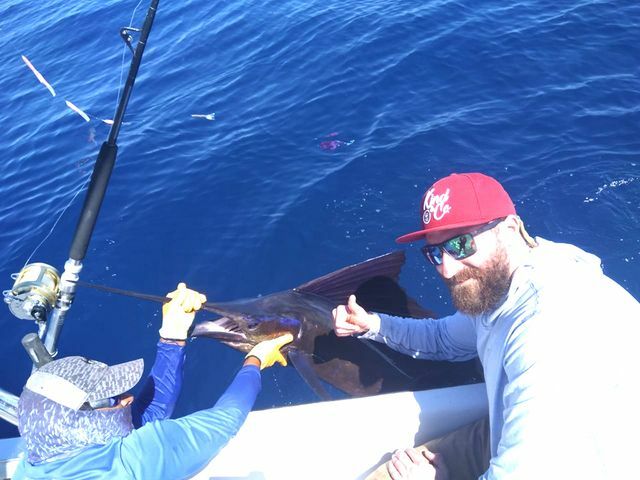 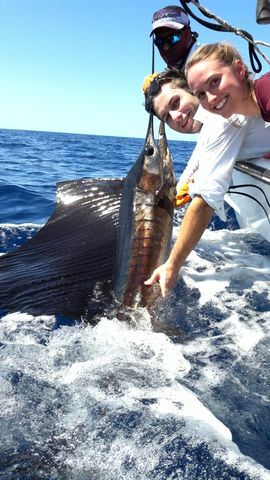 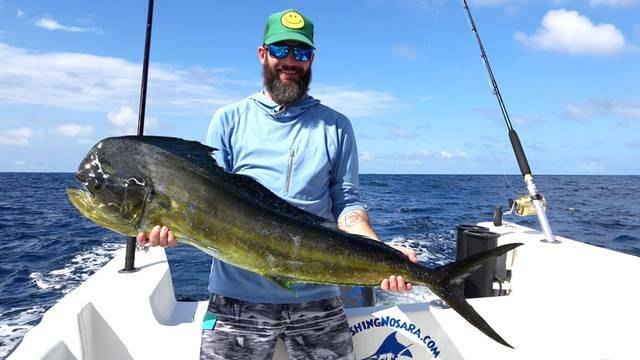 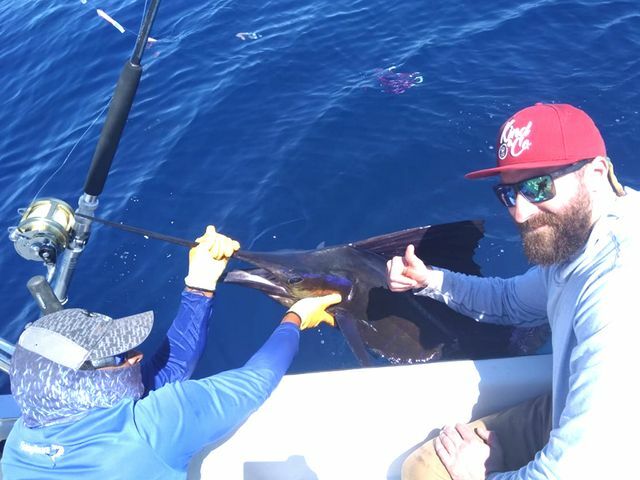 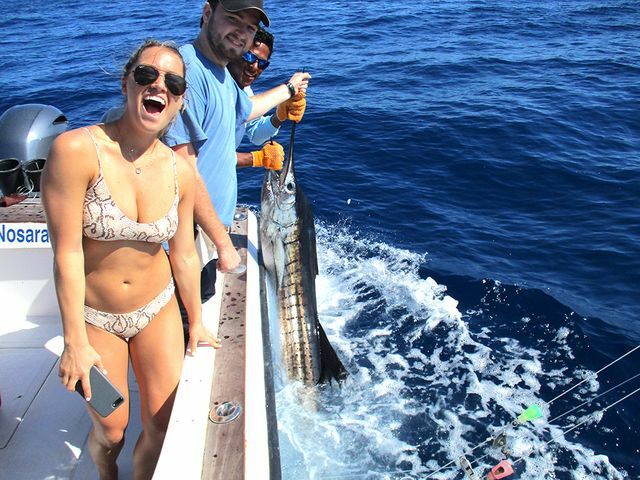 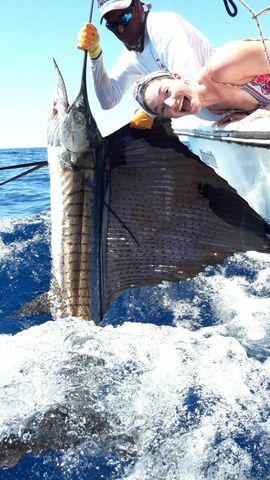 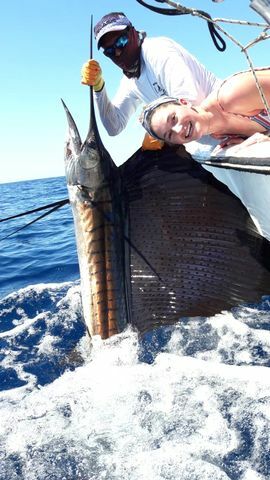 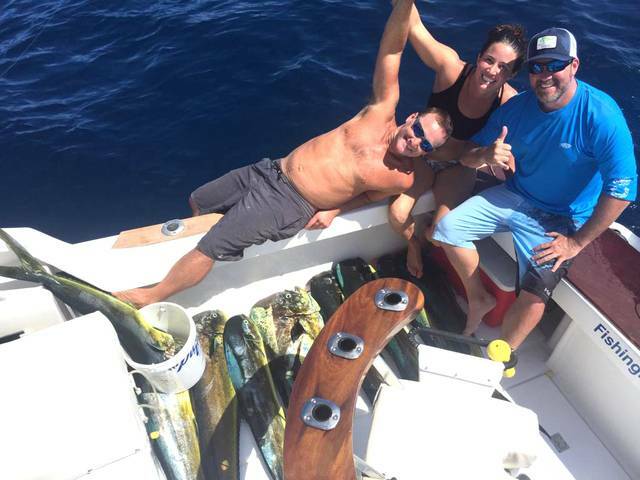 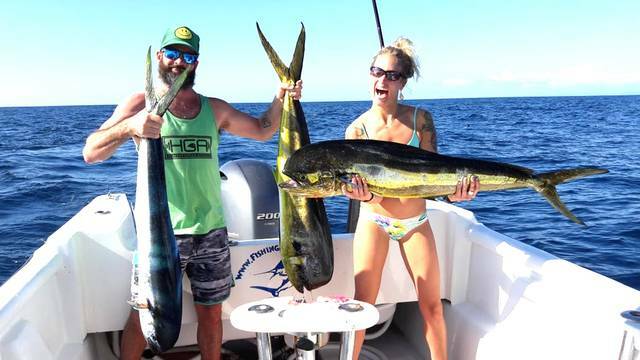 Alex Stark took his party to the Harvester on February 5th, and this group nagged a sweet Sailfish release and a bunch of Dorados. 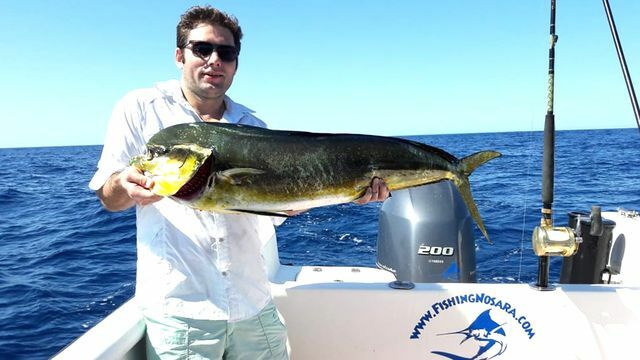 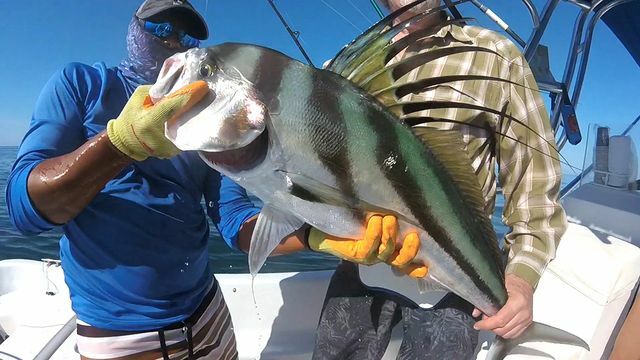 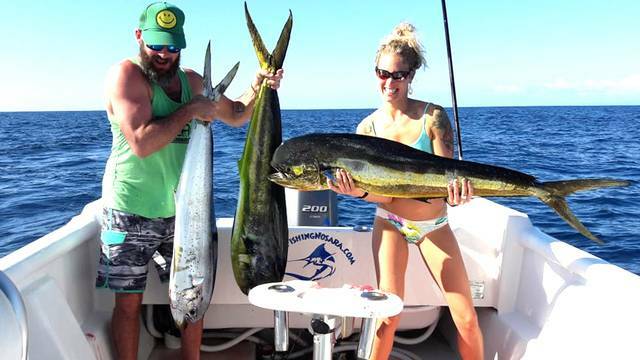 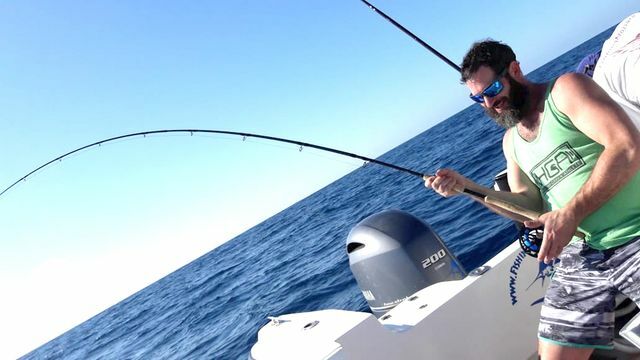 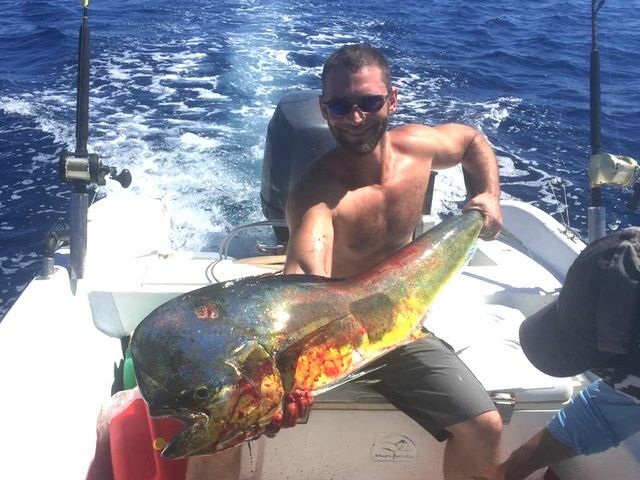 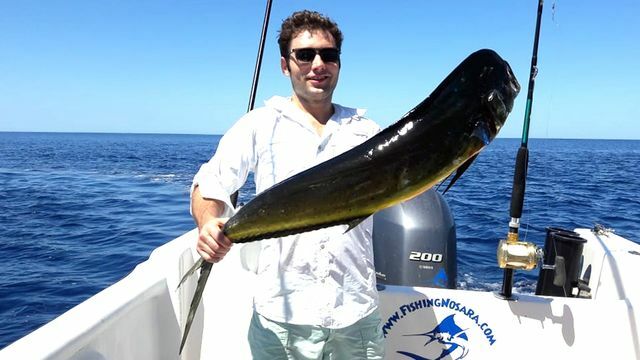 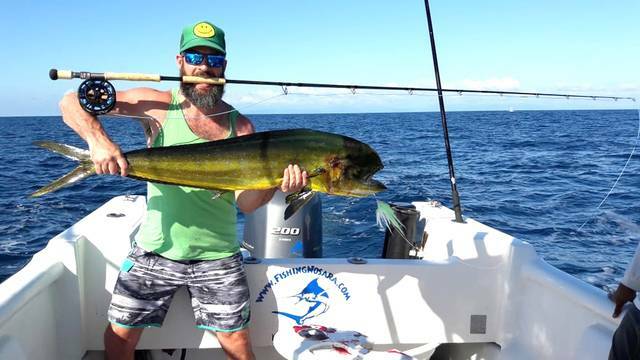 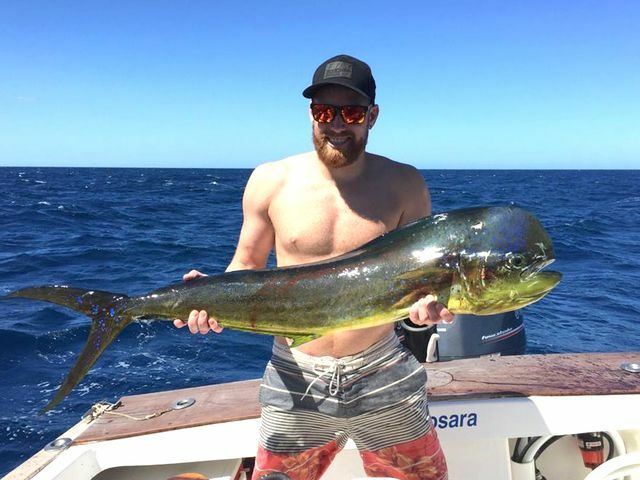 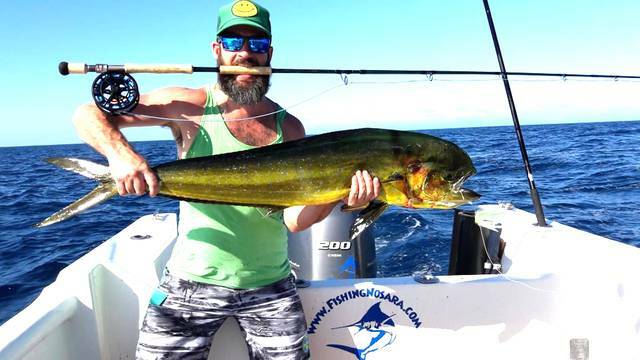 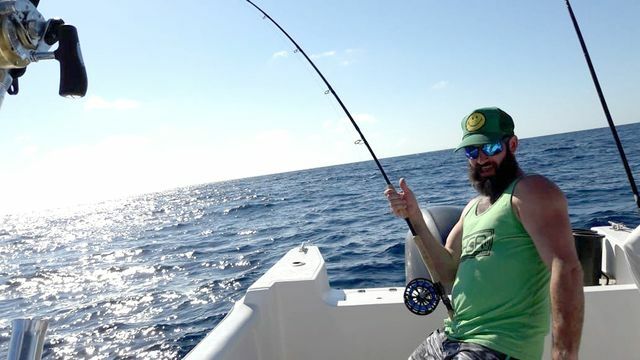 Too bad this was just a 5 hour trip…the fish were chewing the bottom out of the boat and the mega panga had to leave the bite in order to make it back to shore on time. 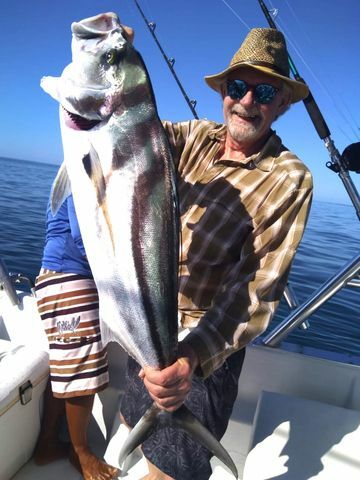 Ben Stein and his group posted an incredible day with the Explorer on January 22. 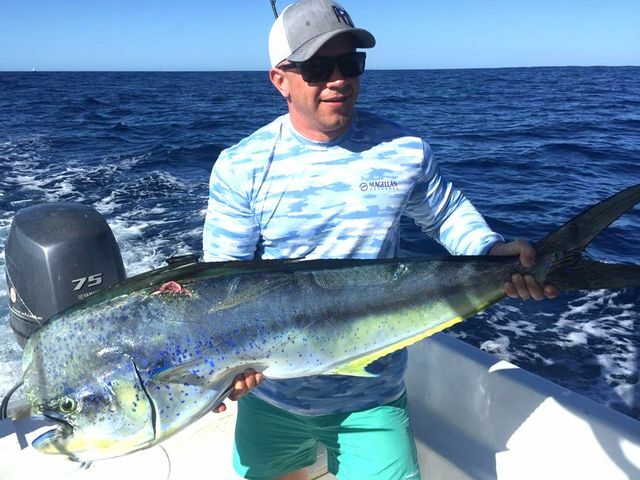 Eric Olsen and his fun-loving group has a big day of results on December 29. 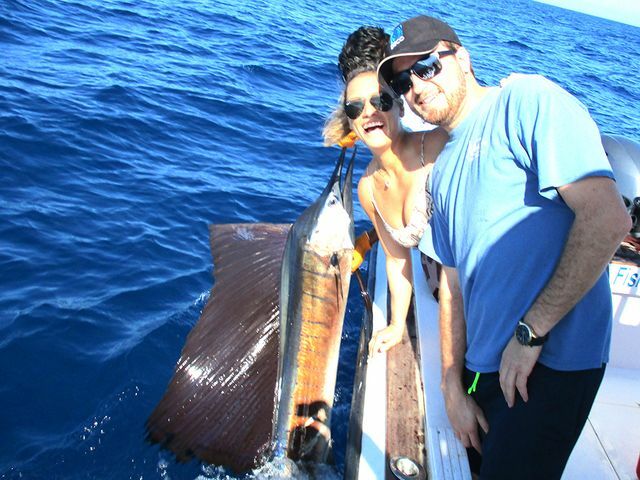 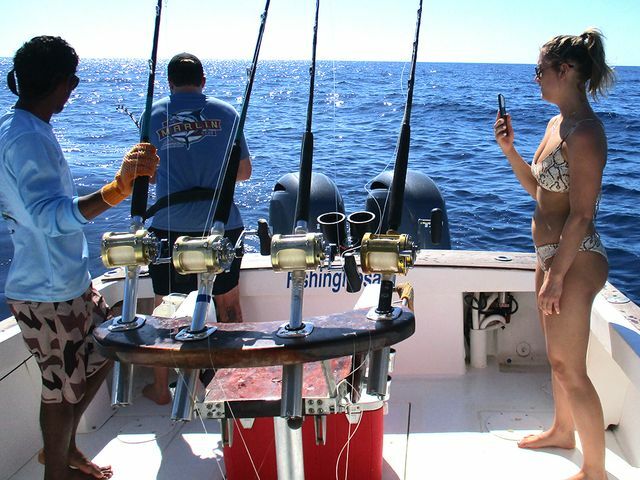 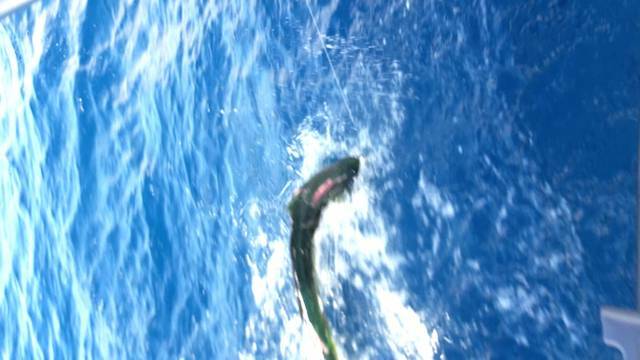 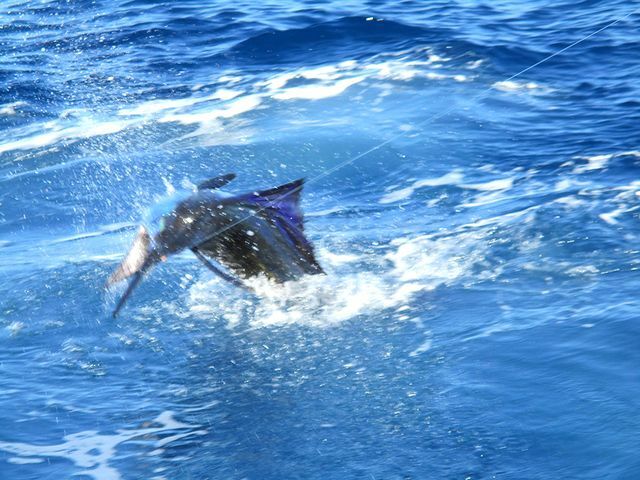 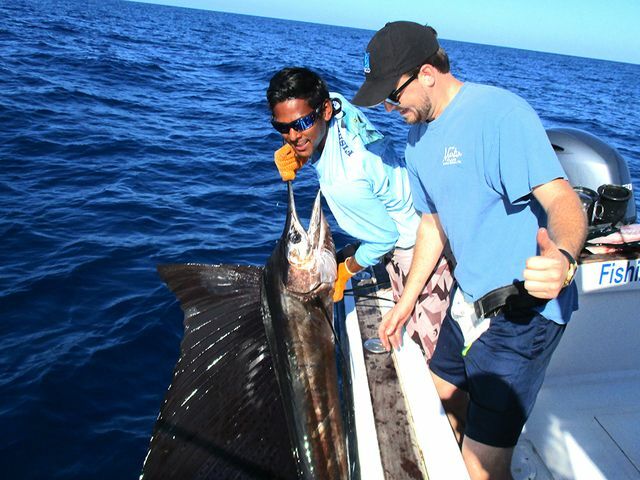 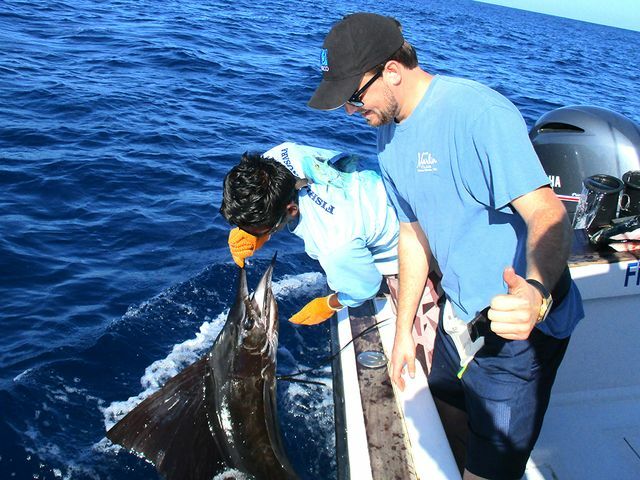 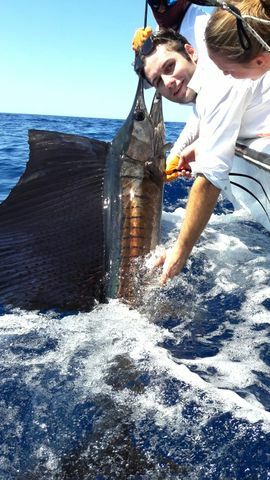 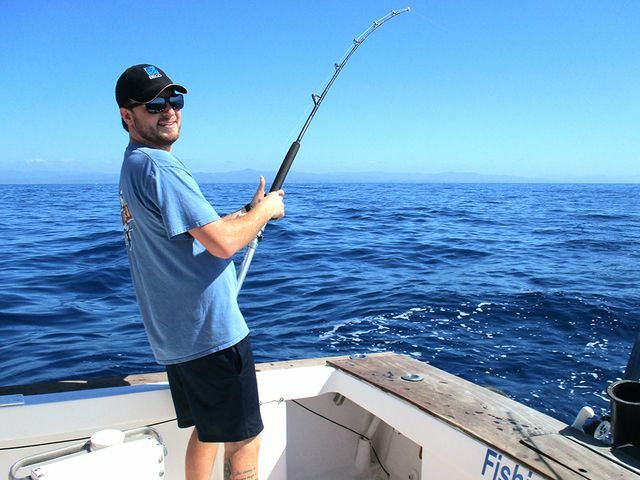 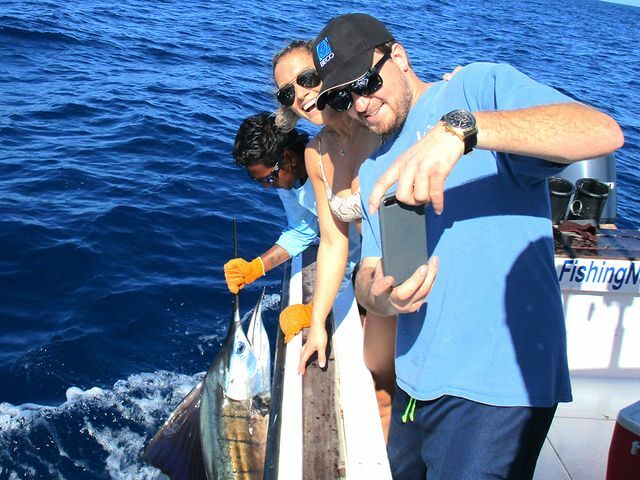 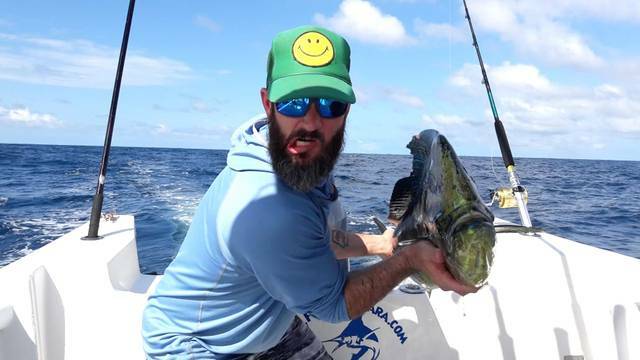 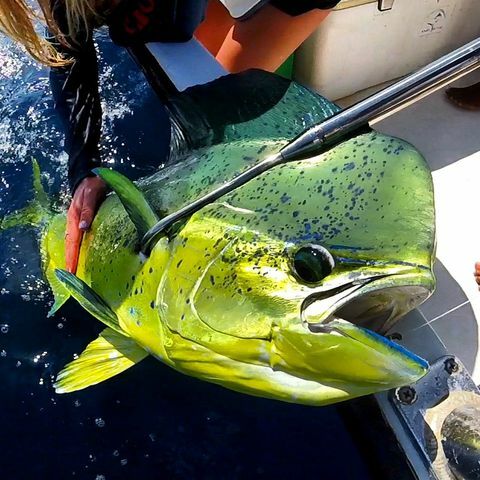 After a nice Dorado got the action rolling, these big Sailfish put the flagship to the test. 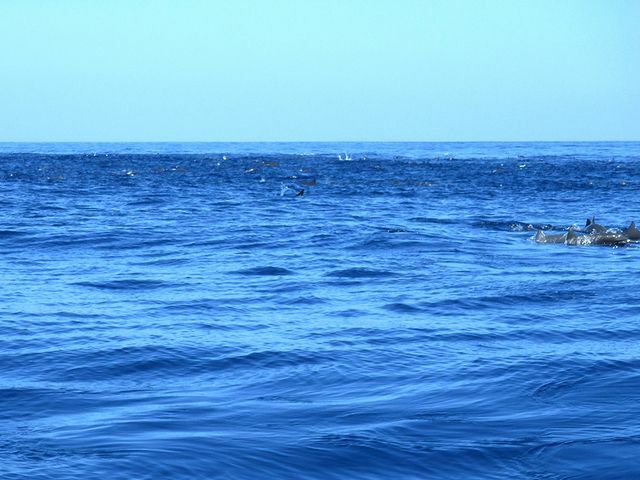 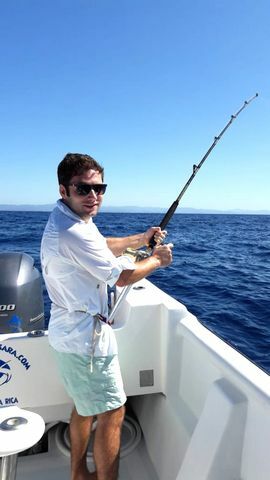 In the afternoon, Captain William stalked a school of porpoise and stole a nice Yellowfin Tuna from right under the pod. 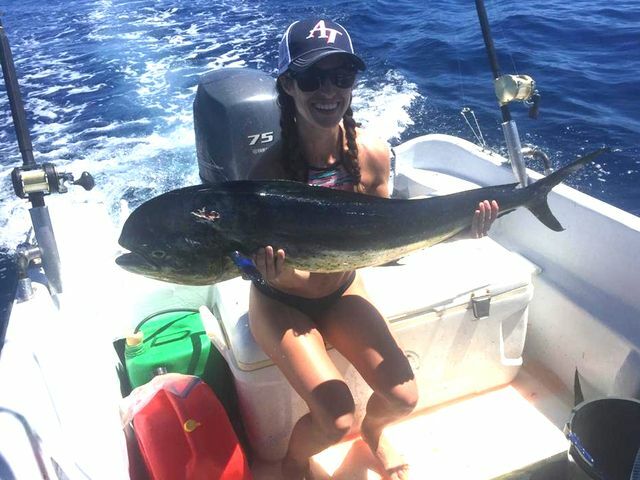 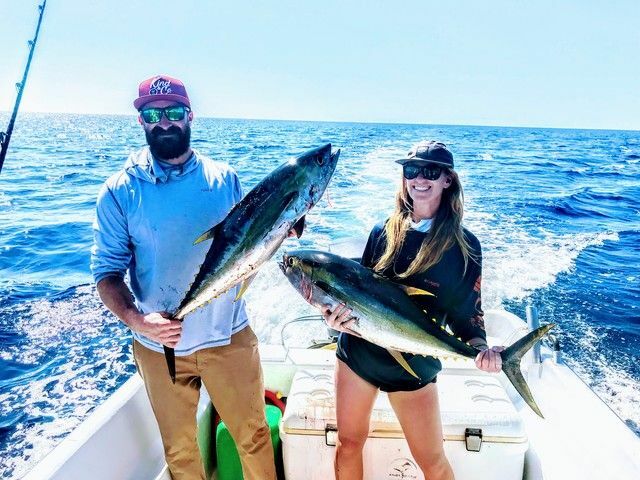 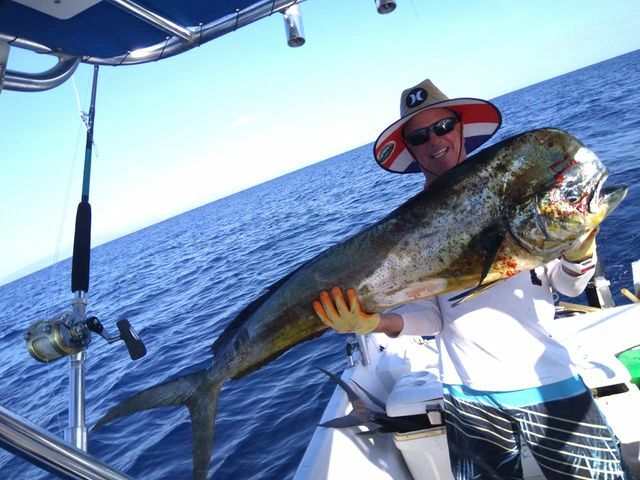 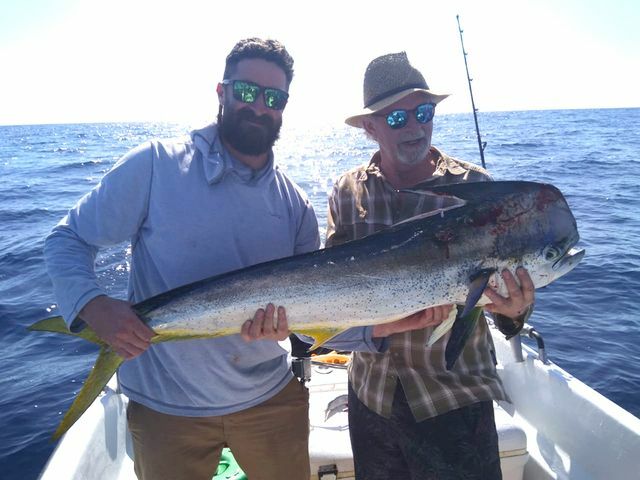 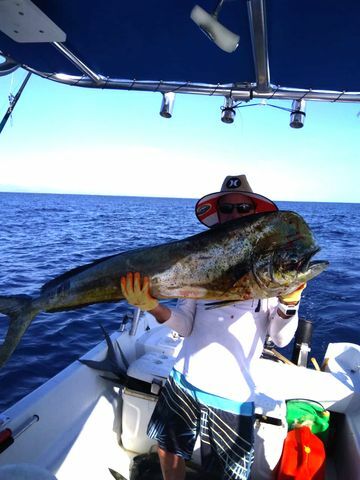 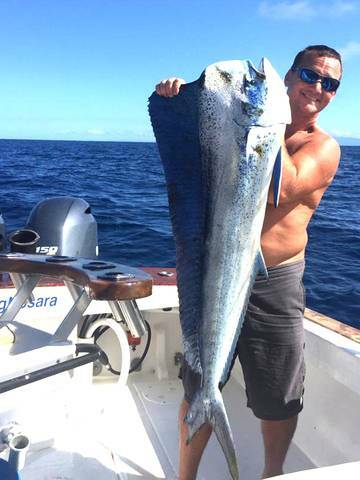 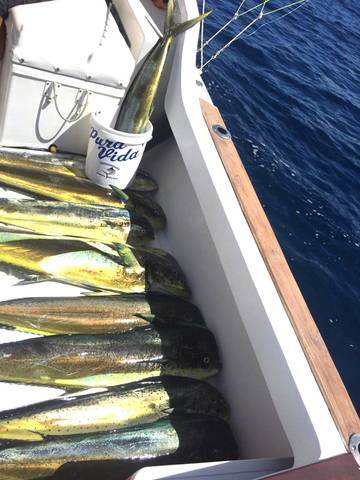 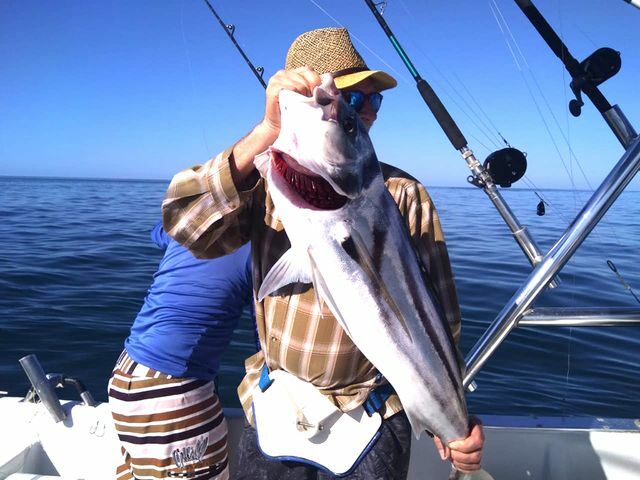 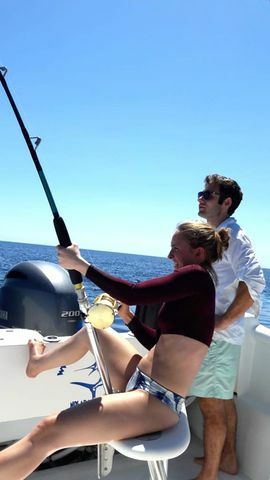 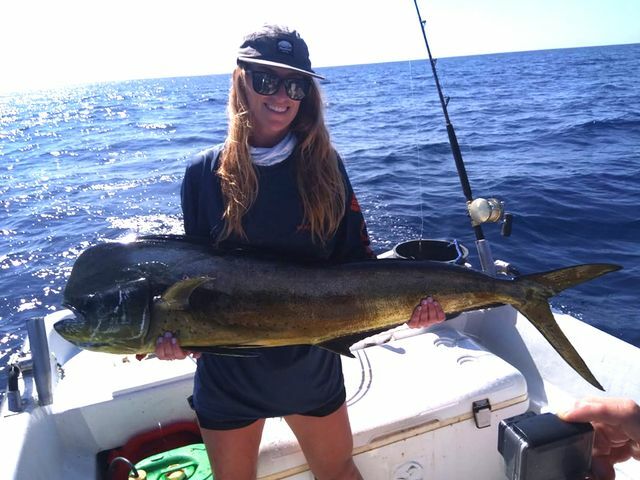 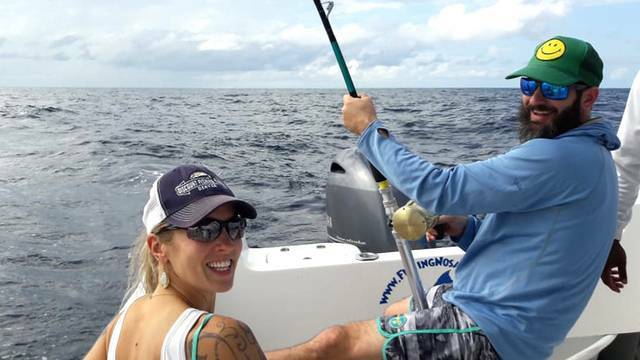 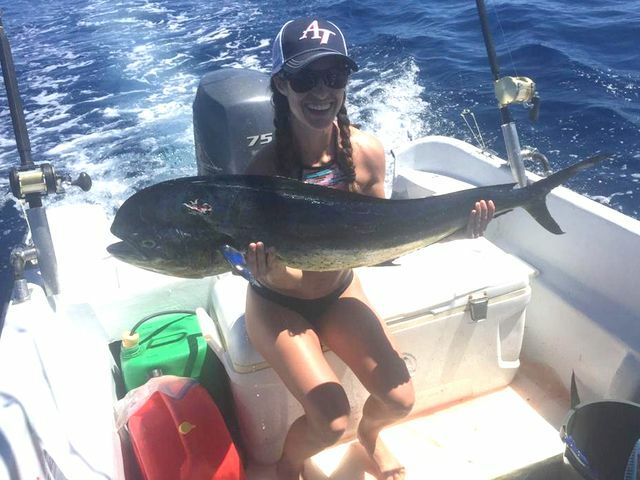 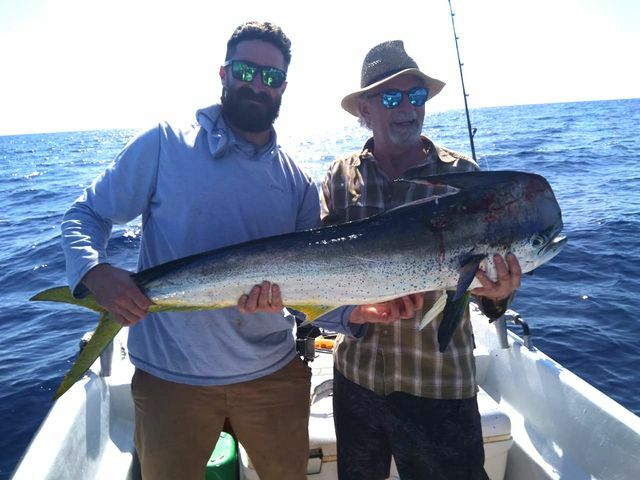 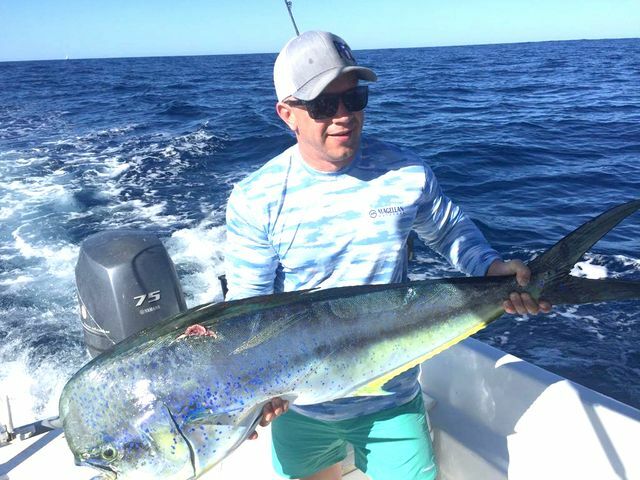 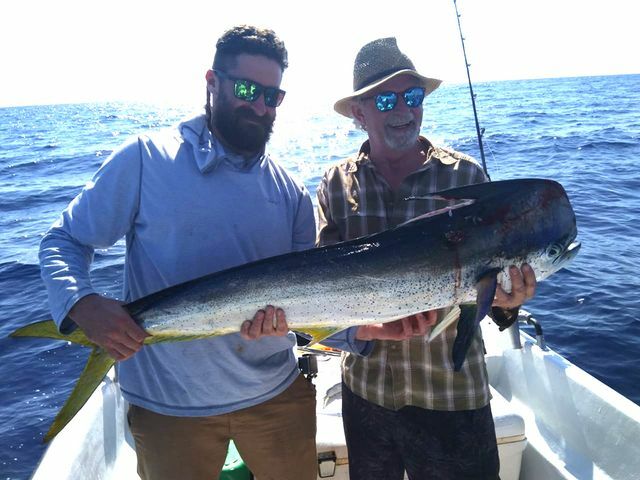 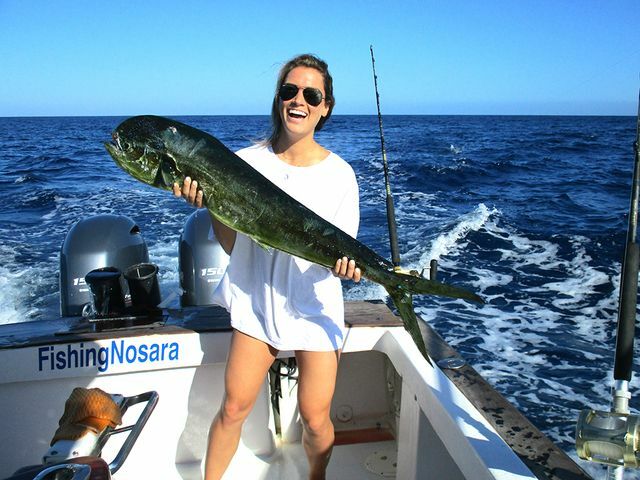 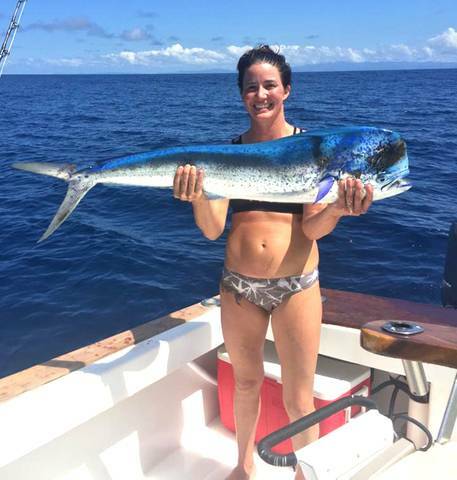 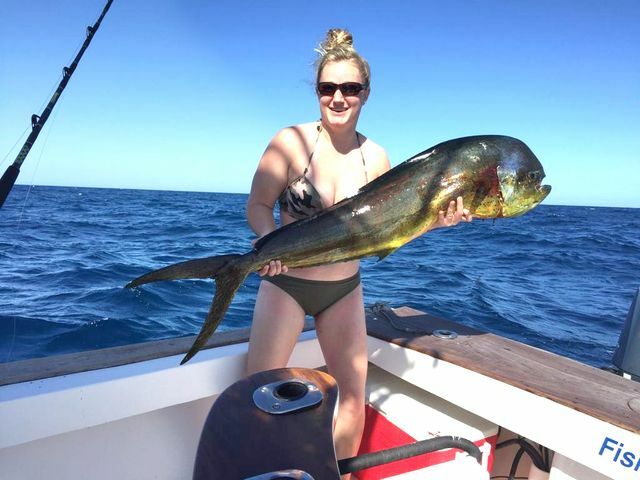 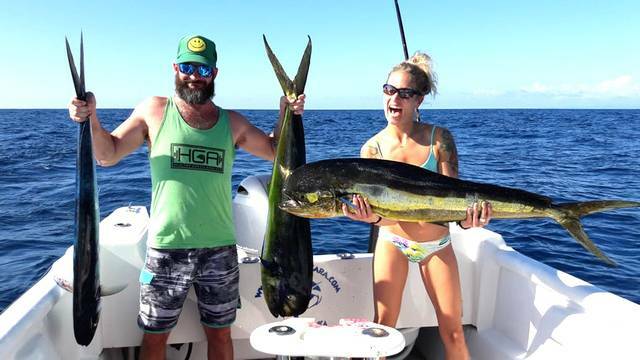 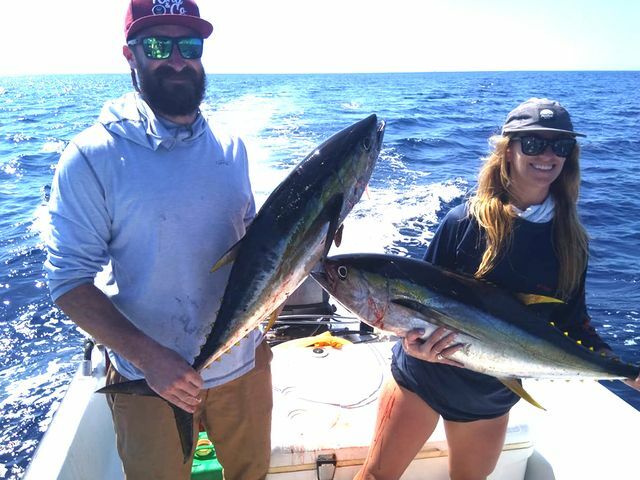 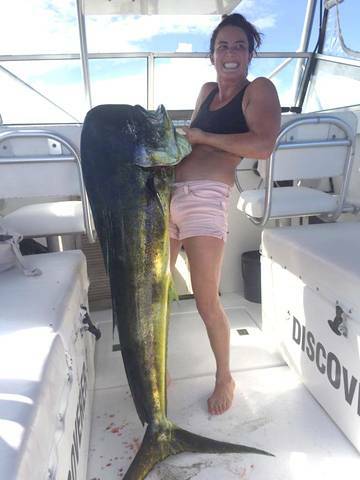 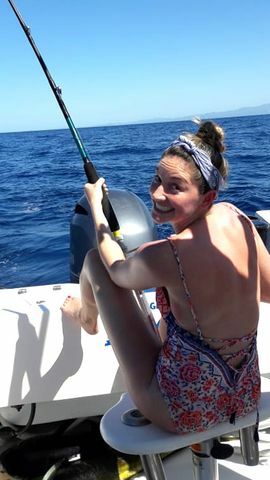 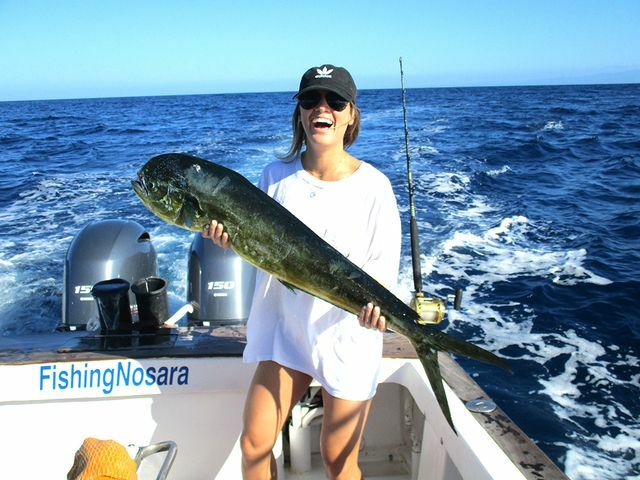 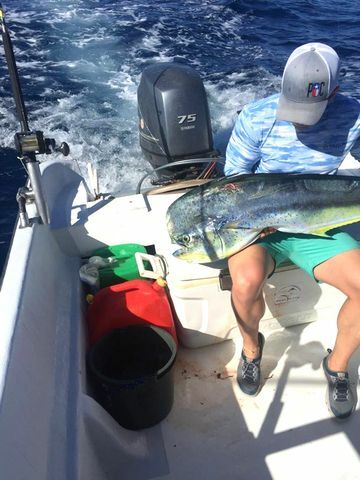 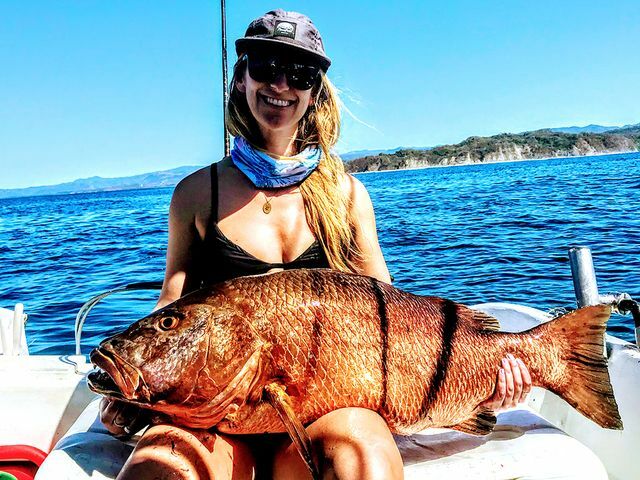 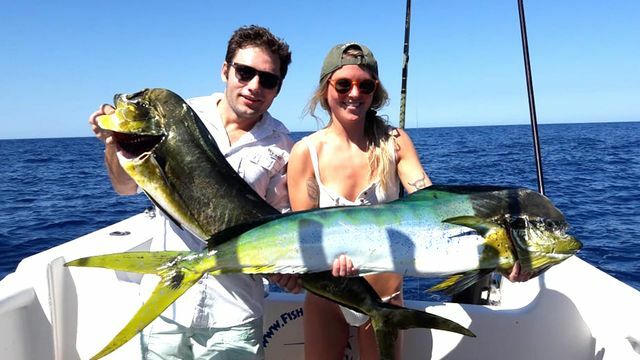 Captain Carlos kept the good time rolling for Sarah Deter’s group, with big Dorados and big smiles reported on December 11. 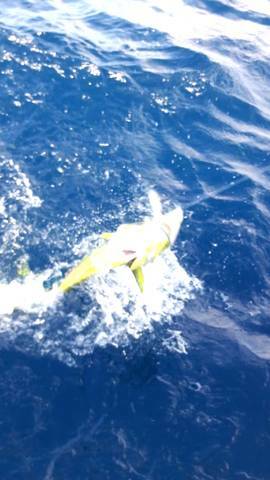 The offshore action has remained steady this month and we are hoping for more of the same this December and January. 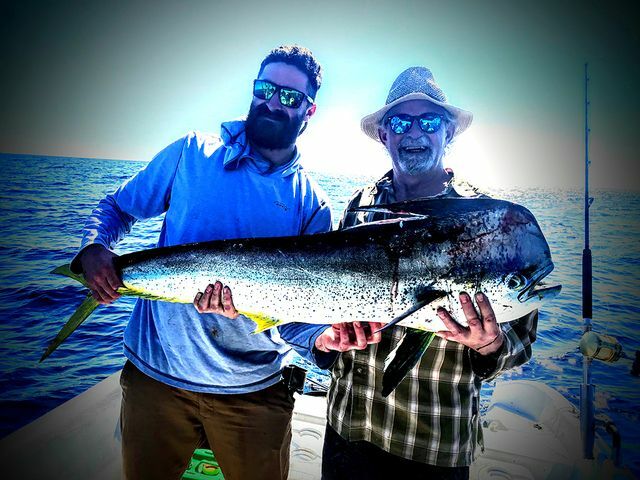 Captain Alex is always ready to embrace a new fishing challenge, so when fly-fishing enthusiast Mike Williams chartered on December 8 the Harvester was ready for the challenge. 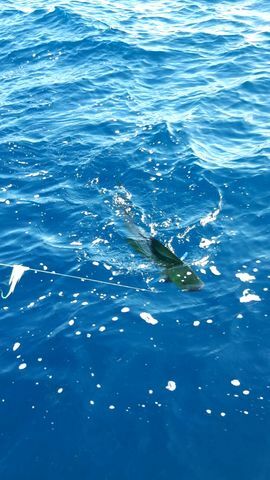 After this excellent catch, Team Williams turned to the conventional tackle and loaded up on a multitude of big Dorados. 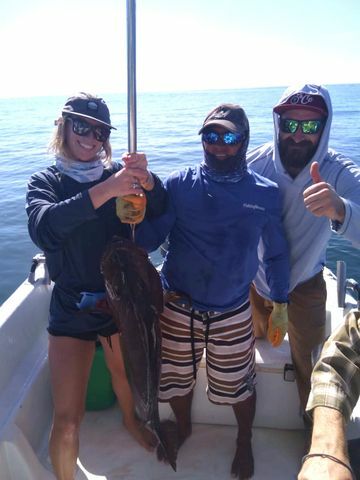 That’s three nice smiles right there! 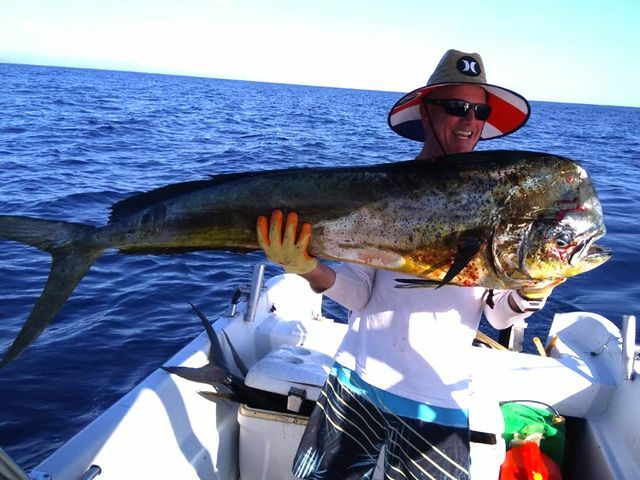 Great work by the crew of the mega panga! 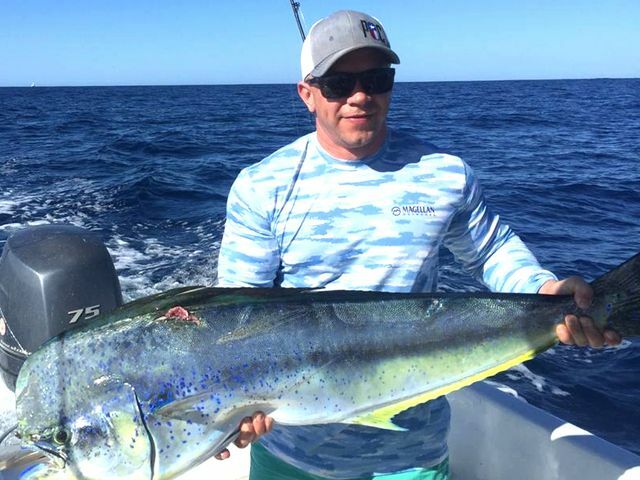 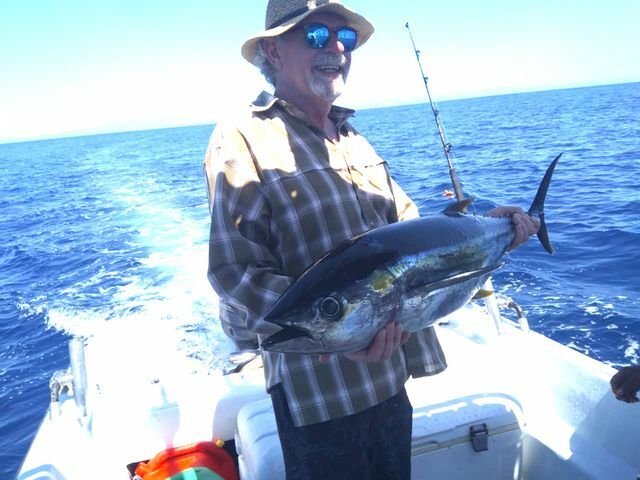 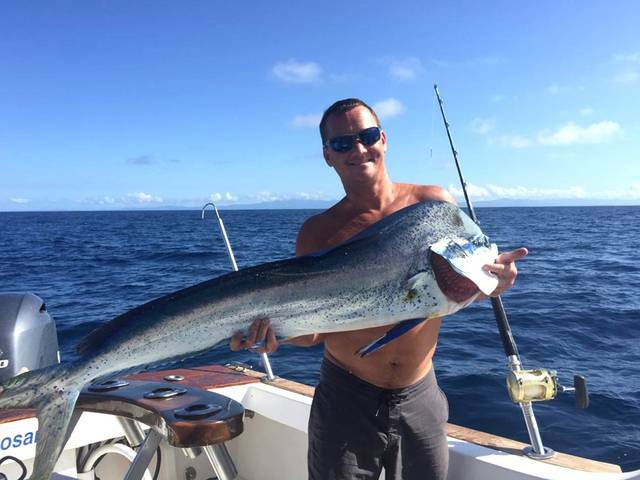 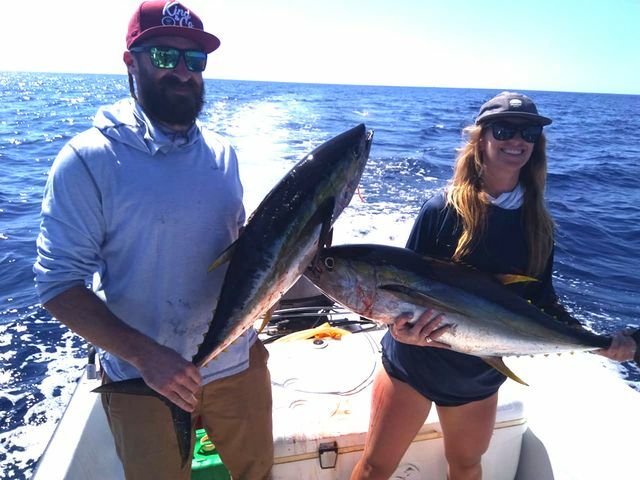 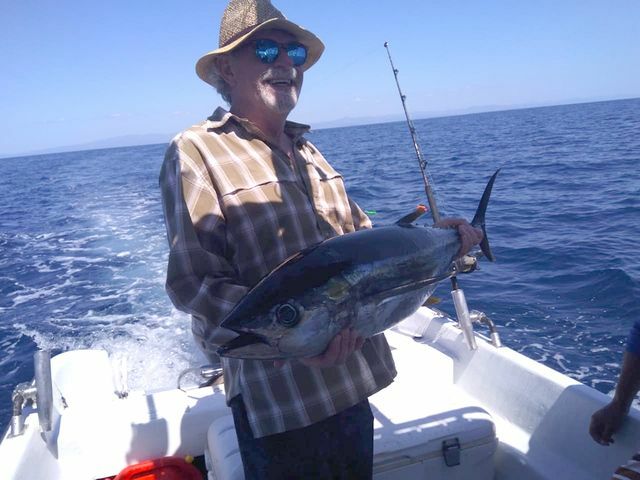 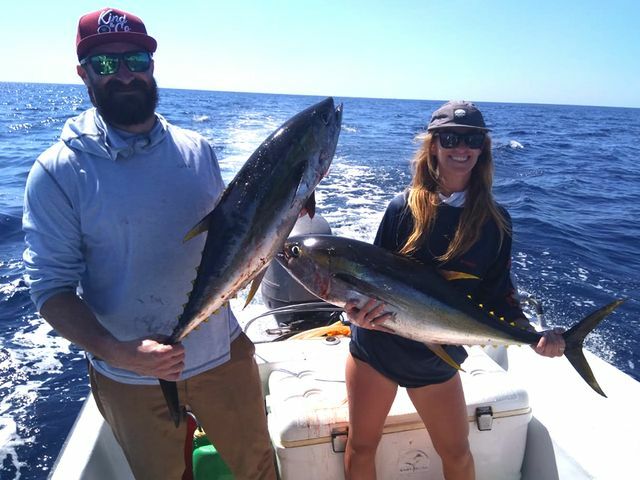 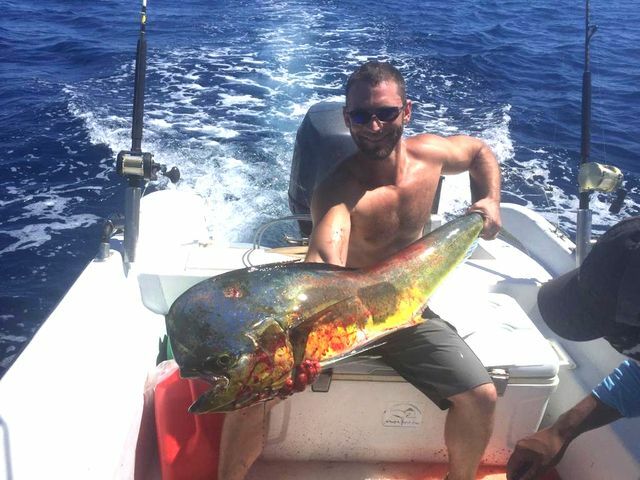 Captain David kept the good times rolling on August 16 as the Adventurer scored this lovely Yellowfin Tuna.